HILLARY: It is abundantly clear especially today that race and racism are defining challenges, not only in the United States but around the world. You know, we have made progress. You can look at this stage and see an African-American, a Latino, a woman contesting for the presidency of the United States. But there is so much left to be done, and for anyone to assert that race is not a problem in America is to deny the reality in front of our very eyes. You can look at thousands of African-Americans left behind by their government with Katrina. You can look at the opportunity gap, the cradle to prison superhighway that The Covenant talks about, and you can look at this decision today, which turned the clock back on the promise of Brown v. Board of Education that was resting on the fact that children are better off if they are part of a diverse, integrated society. So, yes, we have come a long way, but yes, we have a long way to go. The march is not finished. RUSH: So much of this is just pandering. I expect them to do this. I mean, this is their voting bloc. But this Brown versus Board of Education thing, I understand that that’s an iconic thing, but the problem with the civil rights coalition in this country today is they live in the past. Progress is not something that they’re really interested in. They love going back to these iconic things of 60 years ago and reliving them and having anniversaries about them and pretending that things are still the same. I mentioned earlier Juan Williams has really a breathtaking piece today, Juan Williams is black, he has a breathtaking piece in the New York Times saying it’s about time Brown vs. Board of Education went by the wayside. It’s no longer practical. The circumstances that exist in the country today are not the same as back then, and he mentions that he interviewed extensively Thurgood Marshall as the lead lawyer in that case, Brown vs. Board of Education and later ended up on the Supreme Court. In his interviews, Thurgood Marshall said that the whole point of Brown vs. Board of Education was not integration and it was not diversity. We weren’t trying to get the races together, we were trying to get black kids access to decent schools, because back then, the school boards were spending more money on the white schools than anywhere else. We just wanted our kids to have access to the same quality buildings and books, materials, teachers, and education. We had this report the other day, this Harvard political scientist, five-year study, diversity destroys. The concept of just putting people together because you think they should be together. The woman that started this case, the one that the Supreme Court decision yesterday dealt with, all she wanted to stop was having to drive her kid 90 minutes away to school! That’s all she wanted. It was a pain in the rear, and of course that was the whole message of forced busing, and we know how that worked out. She had no idea she was creating this kind of firestorm. She just said, ‘This is ridiculous. I got a school much closer to my house but I’m told I gotta send my kid over here for diversity.’ Diversity doesn’t work. Diversity is no substance. Diversity is just liberal kaleidoscope mentality, thinking that they’re doing wonderful things and being good people. So the whole premise of Brown vs. Board of Education is being misrepresented by people who don’t want to let go of it because it has its iconic status. When you hold onto Brown vs. Board of Education, you keep talking about it, you fallaciously put forth the notion that we’re still living under such circumstances; that we’re still living under such discrimination; we’re still living under such prejudice and economic gaps and disparities. It’s not the case. So they don’t want to let go of that, and that’s why they’re concerned if Brown vs. Board of Education went away. In fact, I would suggest that there has been more segregation of races since Brown versus Board of Education than integration, and the segregation is being brought about by various civil rights group, who despite being granted the right to integrate and so forth, have decided to separate themselves for whatever reasons. And you know it and I know it. RUSH: here’s a little observation for you. Mrs. Clinton is going on and on and on about how horrible this Supreme Court decision is, absolutely rotten. The thing about liberals is that they always come up with two sets of rules, one for themselves, and one for the rest of us. The rule for themselves exempts them from the rules they set for everybody else. Now, she lives in Chappaqua, New York, and it’s just up the road from Manhattan. It’s about, interestingly, 90 minutes from Manhattan. Chappaqua is an area of New York that is called Whitelandia. So let’s assume here for the sake of discussion that some authority, some court decided that a number of kids from Harlem schools are going to be bussed up to Chappaqua. What do you think the reaction up there would be? Mrs. Clinton would be fine because she doesn’t have her kid in school up there anymore. She’s hardly there, either, she’s in Washington and out campaigning. She probably would be fine with it. But people in her community — do you think the people in Harlem want to go 90 minutes every day up to school? Or maybe turn it another way around, yeah, bring the kids from Chappaqua down to Harlem, you watch what happens. That’s what this case was about. It wasn’t Brown vs. Board of Education so much. It was just about liberals telling you what you gotta do with your kids; where you gotta send them to school; what they can and can’t eat when they get there; what they can and can’t drink when they get there; what kind of vehicle they can and can’t ride to get there; what kind of recess games they can’t play when they get there; what food they have to avoid in the cafeteria. RUSH: Wait a second. Why? Why is that? How does he know this? Prove this. You don’t think that is a racist statement and a bigoted statement and a prejudiced statement? He’s just telling this audience of black people that he thinks their kids start out behind. Now, they don’t understand they’ve been insulted. They think he’s supporting them because of course if it’s true their kids start out behind, it’s gotta be somebody else’s fault. This is one of those things, you know, I would say prove it. Here’s the rest of his bite. BIDEN: — because we do not start school earlier. We do not give single mothers in disadvantaged homes the opportunities that they need in order to know what to do to prepare their children. 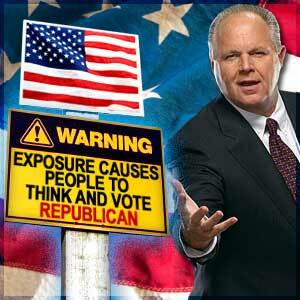 RUSH: Stop the tape, stop the tape once again. You see, ladies and gentlemen, that you don’t have what it takes to raise your own kids. The government, run by Democrats for how many years out of the last 40, has not done a good enough job of teaching single black mothers how to be good mothers. BIDEN: A mother who talks to her child on a regular basis from infancy to being a toddler, that child, when it’s two years old, will have a vocabulary 300 words more than a child not talked to. So it’s simple. You gotta start off and focus on the nurturing education of children when they’re very young, particularly children from disadvantaged families. RUSH: You know, Barack Obama didn’t have this problem. Barack Obama somehow escaped that gap. He’s become one of the cleanest and most articulate black candidates the Democrat Party’s ever fielded, quote, unquote, Joe Biden. How did Barack escape this gap? I assume he started out, what, behind, but he launched himself and now he’s doing better in the polls for the presidential nomination than is Biden. Let’s see. Let’s go cut seven because we’re getting close here to the pi&egrave;ce de r&eacute;sistance in all this. We’re not going to get to all of it before the break. It’s on AIDS. They moved on to AIDS. I forgot to move my cue sheet forward by a page. ‘What’s the plan to stop and protect these young people from this scourge of AIDS?’ And here’s a portion of Mrs. Clinton’s answer to the question. HILLARY: Let me put this in perspective. If HIV/AIDS were the leading cause of death of white women between the ages of 25 and 34, there would be an outraged outcry in this country. RUSH: That is shameless. That is just pandering of the worst order. This forum is what it was, and it existed for this express purpose. But, look, here we are, I don’t know if you saw it, I didn’t see it. By the time last night came around, folks, I was exhausted and I was into a little hedonism. I was into sybaritic pursuits. The last thing I was going to do after this exhausting week was to watch this. But here we are, the man running America — you know it and I know it — an untamed piece of the GOP message machine, airing for millions of Americans who didn’t watch it, didn’t see it, didn’t hear it, what Democrats said last night at their All-American Presidential Forum on PBS. Take that, those of you who are on the prowl on the Fairness Doctrine. RUSH: All right, now we get to the meat of the coverage here. This is Joe Biden. Who asked this question? Public Radio’s Michel Martin. ‘I’m sure you all agree there are a lot of beautiful young people in the audience today, so you can imagine how disturbed we were to find out from the Centers for Disease Control that African-Americans are 17% of all American teenagers, yet they are 69% of the population of teenagers diagnosed with HIV/AIDS. What’s the plan to stop and protect these young people from this scourge?’ And Joe Biden said this. BIDEN: What’s happened is there’s a policy of neglect, denial, and lack of honesty out there. The fact of the matter is, there’s neglect on the part of the medical and the white community focusing on educating the minority community out there. I spent last summer going through the black sections of my town holding rallies in parks, trying to get black men to understand, it is not unmanly to wear a condom, getting women to understand they can say no, getting people in a position where testing matters. I got tested for AIDS! I know Barack got tested for AIDS. BIDEN: There’s no shame in being tested for AIDS! It’s an important thing, because the fact of the matter is in the community — in the communities engaged in denial, they’re engaged in denial. 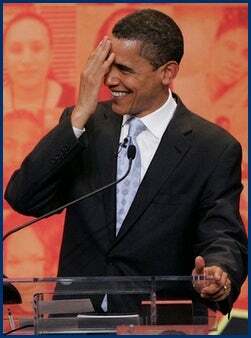 RUSH: There was laughter underneath that assertion here that Barack got tested for AIDS. But once again, we have here on clear display — I’m not coming up with the words I want here to describe this, but it’s more than pandering. This is insulting. What Biden just said here, ‘There’s neglect on the part of the medical and the white community focusing on educating the minority community out there about AIDS.’ I guess to Joe Biden and every one of these people that spoke in this forum last night, it is not up to the black community to learn to fend for themselves. They are the quintessential American victims — and by gosh, if the white community doesn’t educate ’em and if the white community doesn’t take care of them, and the white community doesn’t warn ’em, and the white community doesn’t give them condoms, then they are doomed in the United States of America? If I’m sitting in the audience, I’m black, and I hear that, I’d revolt! ‘I went to the black sections of my town and I said, ‘It’s not unmanly to wear a condom.’ There were rallies out there.’ This is just offensive. It’s dehumanizing. Anyway, Barack Obama had to respond to this. OBAMA: — when we were in Kenya, in Africa! OBAMA: — about what’s goin’ on. BIDEN: When I got tested to save my life, because I had 13 pints of blood transfusion. OBAMA: I got tested with my wife. SMILEY: And — and I’m sure Michelle appreciates you clarifying it. RUSH: All right. ‘In public.’ (laughing) So Biden, you just know: give this guy enough time when he opens his mouth and he’s going to step in it one way or the other. RUSH: One more sound bite from the All-American Presidential Forum on PBS last night with the Tavis Smiley doing the hosting. They all got a question about taxes. Do you agree the rich aren’t paying their fair share of taxes? And here is a montage of their answers. EDWARDS: We need to get rid of George Bush’s tax cuts for rich people. BIDEN: I would eliminate the tax cut for the wealthy. OBAMA: The Bush tax cuts, people aren’t looking for charity. They want people paying their fair share of taxes. KUCINICH: I want to see the wealthy pay their fair share. GRAVEL: You think it’s an accident that all of a sudden we wake up, that the wealthy aren’t paying A fair share? CLINTON: We have to change the tax system and we’ve gotta get back to having those with the most contribute. RUSH: There you have it, Mrs. Clinton. Not one shred’s worst of difference in any of these people. You know what the Democrat slogan ought to be? Here’s the Democrat Party slogan, particularly this group of candidates: ‘We’ve got what it takes to take what you’ve got.’ That’s who they are. This whole notion that the rich aren’t paying their fair share, the rich they’re talking about are never going to pay any more taxes than they are now. There’s no tax increase, substantive tax increase that’s going to affect ‘the rich’ as they want you to think they’re talking about. It’s something that we’re going to stay on, folks. This is another major education initiative from the Limbaugh Institute for Advanced Conservative Studies, as this campaign unfolds.